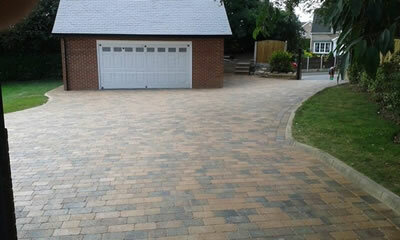 The above photo shows a Block paved drive we completed on Ackworth Road, Pontefract. 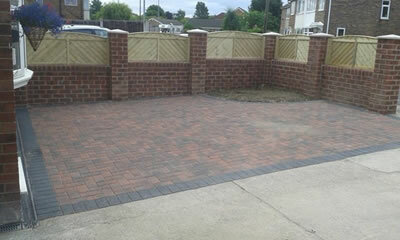 The above photo shows a Block paving project we completed in Normanton, Wakefield. The photo above shows a Block pave drive we completed, together with a wall we built and the fence panels we fitted at Meadow Road, Cutsyke, Castleford. 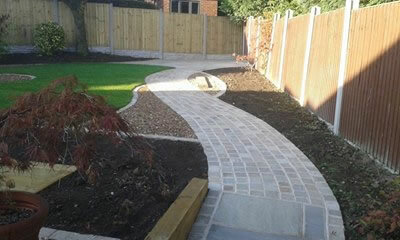 This photo shows a project we completed in Old Snydale, Normanton. We laid the turf, erected the Fence and created a cobble path, and used sleepers, flagging and wall pillars to complete the design. 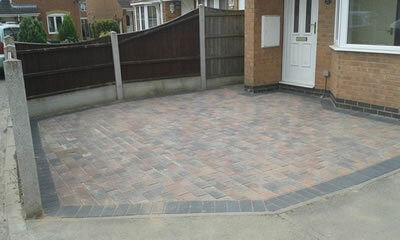 We also block paved the drive at the front of the property. The garden was designed by MP garden designs, who we work with on some projects. 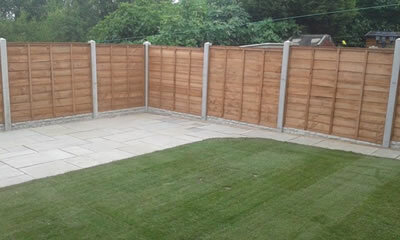 We constructed the patio, laid the turf and erected the fence at this property in Rhodes Street, Castleford. 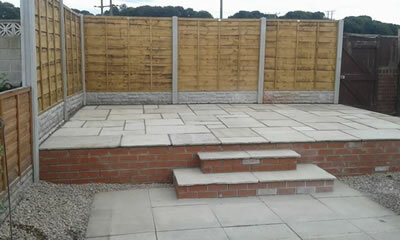 We built the garden Wall and steps and constructed the patio at this property in Park Road, Glasshoughton, Castleford.